Walking in my neighborhood this is what I see. or are you into princesses and fairies? Will you dress the part and play along? Or just watch the goblins walking by? My basket of goodies is ready for those little goblins. Oh I hope the little ones don't get scared and run away. Do you just see a texture or is it an ebb and flow of life? Is it smooth seas or rough roads? Is it a bit of give and take? all put together in a wonderful you. What do you see when you look in your face? What brings to this face the textures of life? A lovely nest I spied just the other day. Tucked in a corner of the garden. while resting comes in the night. Notice those small things tucked in corners. Discover and Delight in the Day. What are you noticing today? you can hear God's whispering. 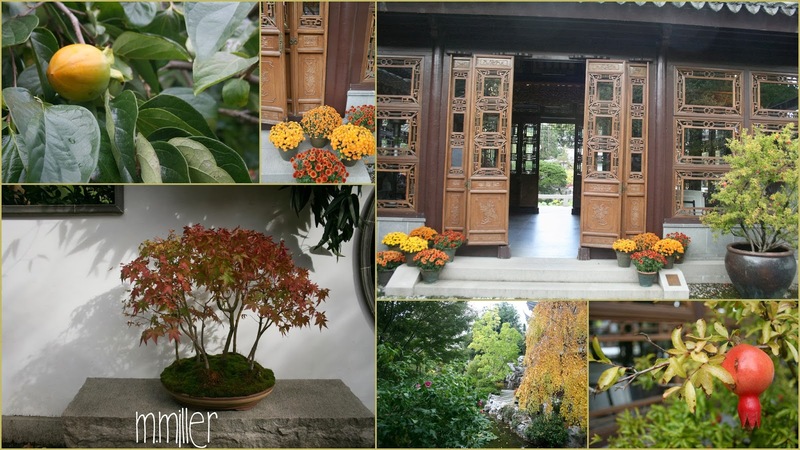 Each season at the Lan Su Chinese Gardens brings a special delight. but in the garden there is a special subtle touch. The colors peek from the trees of the pomegranate and the persimmon. The touches of color in the leaves speaks of Autumn too. But the chrysanthemums sitting here and there just sang to my heart. What colors are delighting and singing to your heart? We shared tea under the tree behind my house. Yes, Jane was there with me, sipping tea. It was a delightful afternoon respite. 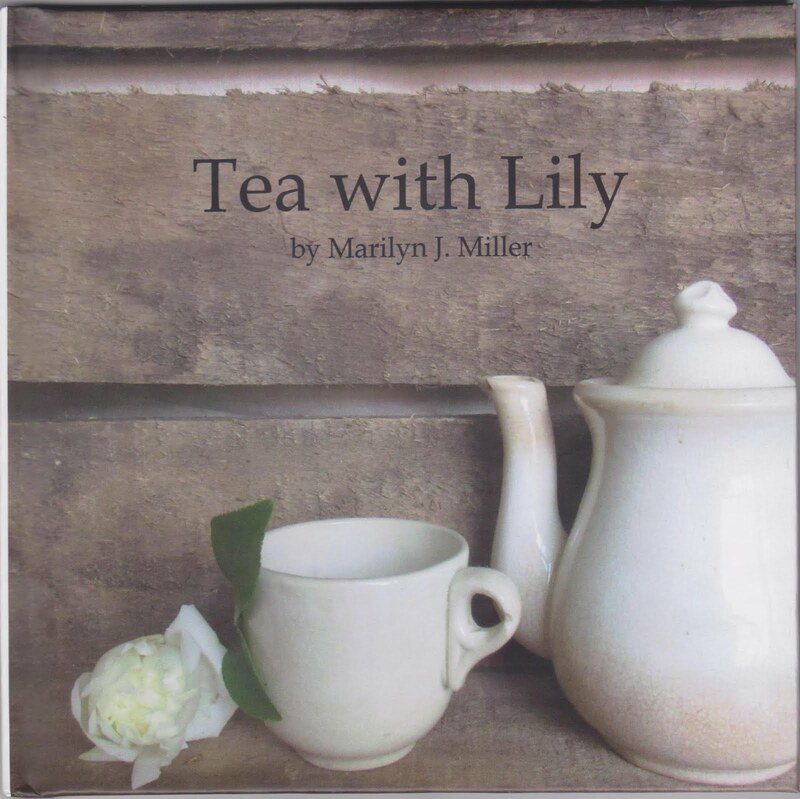 but for Monday afternoon she sipped tea under the tree. Taking a pause just the other day. The fish swam by in the silence. I just know they were. Silently they swam on by. but experiencing the day together. Pumpkins at the Apple Festival delight! Oh the apple in any flavor just make me smile! as it celebrates with one final hurrah before Winter settles in. or a welcoming of Spring time bursting forth? foot prints on the sands of time. Loved visiting this farm once upon a time. Another form of poetry, haiku. One I am just learning about and intrigued by. With my love of words I ventured out just yesterday to a poetry reading. of a small book about China. a hot shao bin he's torn in half." one hoof at a time. As a young girl I thought all poetry had to rhyme. Fascinated recently by poetry, I have come to appreciate many styles. I find writing and poetry are another form of art. When heat combines with raw material such as silica glass beauty appears. Sometimes in life we need the heat to mold us into what we become. I am in love with that pumpkin with its twists and turns. Are you experiencing heat, twists and turns in your life? They will mold you into something beautiful. The art of nature just takes my breathe away. Our creator was smiling when creating nature to surround us humans. 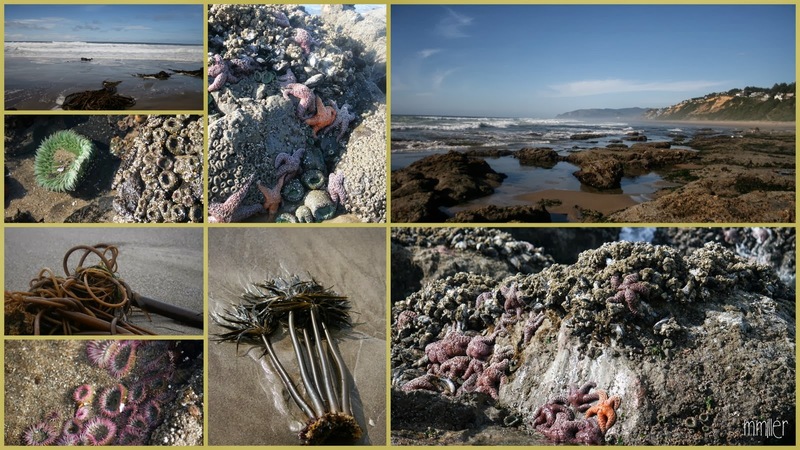 The life and sights of the sea always thrill me. When you are out and about what touches your heart in nature? there is something of the marvelous. The tea bowl was started with a lump of clay. And shaped in the potter's hands. Some trimming and shaping was needed to create the bottom of the bowl. Just out of the kiln it glowed bright red. Cooled in a tub of water. In the potter's hands, the finished tea bowl. Preparing the matcha tea for the first sip. The potter is Richard Brandt, a pottery teacher from Portland, Oregon. It was delightful to just watch his expressions and love as he made this very special tea bowl. This particular art is Raku ceramics. The tea bowl is traditional Japanese. Couldn't help posting this pretty purple teapot for those that love purple. This teapot intrigued me and so do the little boy tea pets. I didn't get everyone's names here, sorry! The woman holding the red mug is Lorna Reeves, Editor of Tea Time Magazine. The couple on the right were representing Chado Tea. Does anyone know who the woman in purple is? Brett Boynton of Phoenix Tea as he was sharing two exquisite Darjeeling teas in a tasting. and this was what he wanted me to take, kissing his wife, Valerie. Becky Li talking about the strength of the Hunan Dark Tea. I thoroughly enjoyed watching Becky just make the tea for us in this tasting. She is so full of grace. Always learning more about tea, the NW Tea Festival was a delight. There were 10 in our group that ventured to Seattle this past weekend for the NW Tea Festival. Then two more joined us from back east and we were a group of 12 who enjoyed tea and conversation. First stop for tea was the New Century Tea Shop in Seattle's Chinatown. Then onto Floating Leaves in the Ballard District of Seattle. at Seattle Center. The sun came out and it was a delightful time of sharing. One of the tea settings served and sipping tea at the WuWo Tea Ceremony. 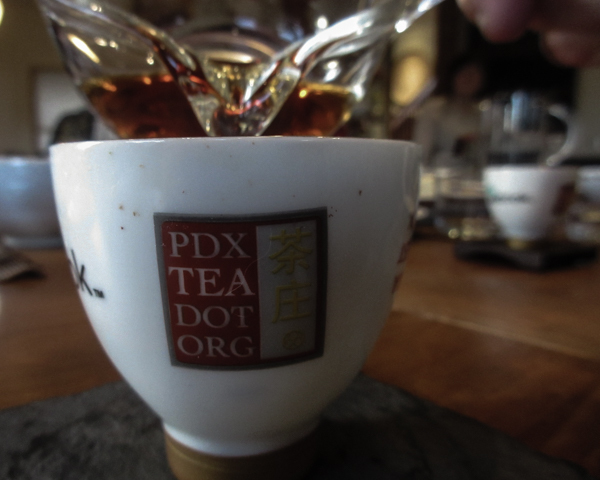 Sipping puer tea with Jeffrey McIntosh was another high light. Sitting under the space needle sipping tea was indeed a delight. 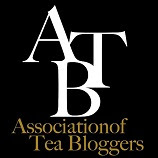 Inside the show with many tea lovers. There were tea lovers everywhere and came from many places. I chatted with the guy in the plaid shirt and he was there from Michigan. Friends came from New Jersey and New York. Oh what fun we had sipping tea and chatting. I will share a bit more tomorrow. If so, the NW Tea Festival takes place in Seattle the first weekend in October every year.